The Other Side Landscapes was the winner of the 2014 Landscape NSW and ACT Award for Pool Surrounds up to $75000. Our approach to poolscaping is that your swimming pool is one of the larger investments within your landscape, and that your pool surrounds will make it spectacular. We work closely with your landscape designer and pool builder to ensure the whole pool and landscape package presents as a single element. 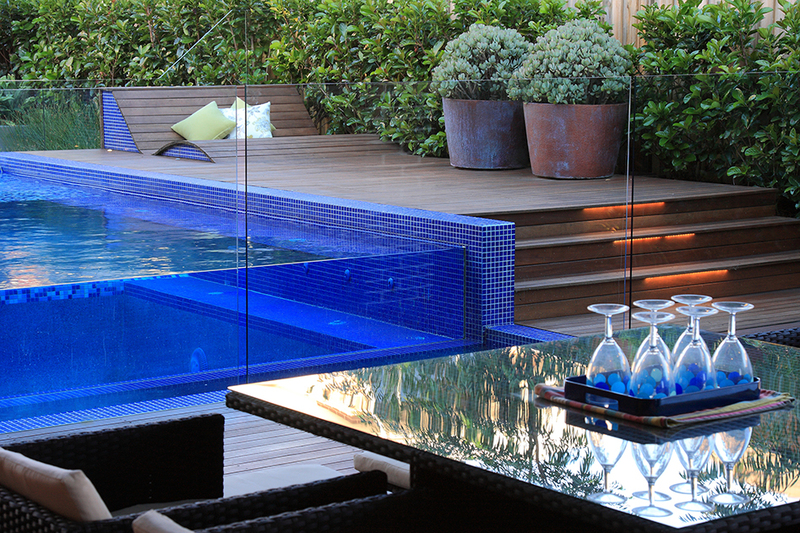 Providing value, functionality and style to your poolscape. We engaged The Other Side Landscapes for the construction of the significant landscape works associated with the installation of our new swimming pool. The scope of work incorporated the delivery of an overall layout concept that we had previously compiled, detailed civil works (including drainage), extensive brickwork, paving and of course the creation of our new gardens and lawn areas. During the life of the project the scope was changed a few times as new ideas were developed and issues confronted. We found the Other Side Landscapes personnel exceptionally good to work with in addressing these matters. The collaborative approach and the clarity of quoting in conjunction with the use of 3D computer imaging really helped us make the right decisions.